I’ve refrained from writing this article for almost the whole of 2015, but now it’s time. Perhaps I should have written it in April, but I was hoping that someone else, better qualified, would write it. Perhaps they did, and I missed it. 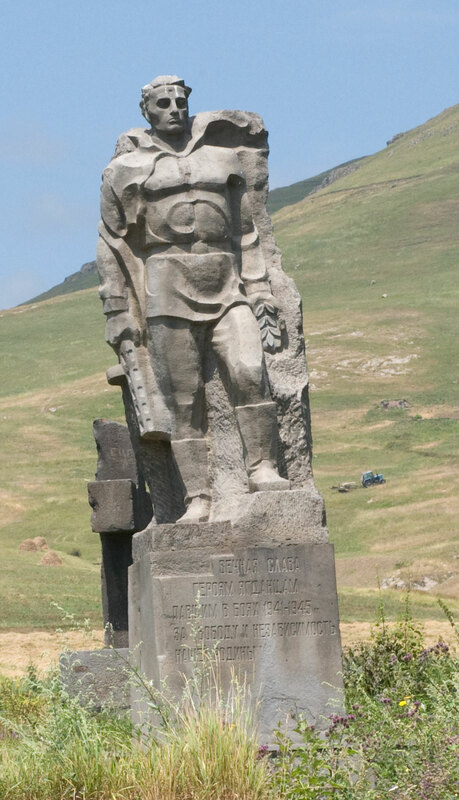 On April 24 1915, a massacre of Armenians began which ushered in a century of genocides. The word had at the time not been coined, but when Raphael Lemkin did coin it, in 1943, he specified that this, like the Holocaust, was a genocide. Since Hitler’s genocide, we have seen the Cambodian genocide, the Rwandan genocide, the Darfur genocide and the former Yugoslavian genocide. Unlike the Armenian genocide, which has never been formally acknowledged by the United Nations, and which Turkey still maintains was not a genocide, these others each prompted, rightly, International Criminal Tribunals. One century. Six genocides — not including the actions of Daesh against the Yazidis and other tiny people groups in their own territories. We have also seen similar actions against Kurds, though these have not yet led to international criminal tribunals. In Turkey, it remains a prosecutable offence to claim that the Armenian massacres actually were a genocide. It seems unlikely, therefore, that Turkish actions against Kurds will ever be acknowledged. I am not here trying to point the finger at Turkey, or Cambodia, Sudan, Rwanda or Germany. Far from it. The kind of thinking that suggests that particular nations or ethnic groups are more guilty of genocide than others, or more prone to be, is exactly the kind of thinking which puts us on the path to genocide. Indeed, in Rwanda, from my memories of reading transcripts of some of the court cases that followed, many people who took part in it said that they felt it was ‘us or them’. It was human beings who committed genocides, people like us. Some of the Rwandan transcripts made me feel keenly just how much like us they were. The Armenian genocide should not have come as a surprise to the West. Indeed, Gladstone, in his last public speech, January 1895, urged Britain to take note of the plight of the Armenians. The Sultan demanded an immediate disavowal by the British government, and the Earl of Kimberley, Secretary of State for Foreign Affairs, responded immediately to assure the Sultan that this was purely a private speech1, and did not reflect Britain’s view. Twenty years later, the genocide began, with many of the practices subsequently used by Adolf Hitler against the Jews. While the world has largely forgotten the Armenian genocide, Armenians have not. 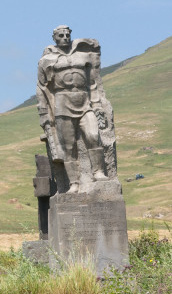 In Armenia, the landscape still contains many statues to Soviet soldiers. This surprised me, when I was there. When I asked local people about them, it was clear that they still regarded the USSR as the great deliverers from oppression. There is, of course, no comparison before or since with Hitler’s genocidal passion. As his letter about the Poles indicates, his hatred was not just for Jews, but for Poles, Soviets, and anyone else who did not fit into his narrow category of worthwhile humanity. Nonetheless, just like the Armenian genocide, the rest of the world should have seen the Holocaust coming. Mein Kampf, which is being republished, did not in any sense attempt to cover up what he intended. 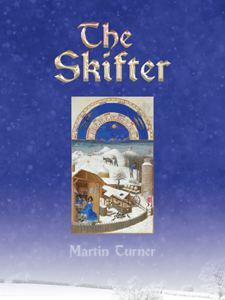 Admittedly its first substantially distributed translation in English — and the one widely available at the time in the USA — had been excised of the parts which would not play well with Anglo-Saxon audiences. Even so, it should not have required a great deal of investment of effort — and remember that resurgent Nazi Germany was already establishing itself as a power in Central Europe, and therefore should have attracted the attention of diplomatic and intelligence linguists — to analyse in the original. I remember the post-Yugoslavian genocide unfolding in the press and on the news. What astonishes me now is that I, like many others, was far too quick to assume that there was probably right and wrong on both sides, that things would sort themselves out, that it was all terrible, but not a great deal could be done about it from our end. In retrospect — and having read George Orwell’s review of Mein Kampf, in which he describes popular British responses to Hitler in the 1930s — I recognise now that those are exactly the conditions in which genocide flourishes. We assume that things cannot be as bad as they seem, we prefer the less extreme (and highly propagandist) accounts issued to counter the hard news, we want to let sleeping dogs lie, we worry what the impact of intervention will be, we find out far too late that all the men in a city have been rounded up to be executed, that a new term, in that case ‘ethnic cleansing’, is really no different from the old term. We wring our hands again, and wish that we had acted. I am not going to apply this directly to Daesh and to Britain’s decision to join the bombing. I disagreed with that decision, as I have written elsewhere, while accepting that I did not have all the facts. We cannot use the possibility of genocide as a blanket excuse or reason to intervene in every foreign emergency. Gregory Stanton, president of Genocide Watch, has put forward a theoretical framework of eight stages by which genocide progresses. 3 His analysis follows the pattern: formulation, symbolisation, dehumanisation, organisation, polarisation, preparation, extermination and denial. Some have argued that it does not seem to apply particularly well to all genocides, and it does not seem to help us in predicting where they happen next. What is perhaps more useful to us is to recognise the failings and lacks of which we ourselves are guilty, in allowing genocides to progress. Since the Kosovan crisis, Western powers have accepted a military dogma known as ‘R2P’ or, Responsibility to Protect. We accept that it is no longer the case that our moral responsibility and authority extends only as far as defending our NATO allies — which is the classic international military and diplomatic position — but that it now goes beyond to protecting those unable to protect themselves. And yet, often, we have not acted. The eyes of the world are now on Daesh. They should be, but why have we done nothing about DR Congo? The situation in DR Congo is so bad that it could almost be referred to as an ‘Omnicide’, where everyone is attempting to exterminate everyone else. I don’t want to chart out the stages by which Western nations permit genocide to take place. However, I do want to put forward five ways in which we as individuals in Britain can better help to prevent them. Engagement with world affairs. Britain is a democracy. Government listens when enough people start lobbying. Mostly, though, we only engage with places we’ve been to or might consider visiting. There was a fair degree of criticism on Facebook when many people (I was one) changed their profile picture to one with a French flag after the Paris massacres. Why had we not done so for other, much larger massacres? It was a valid point, though I still stuck with the French flag. Gladstone engaged with the plight of the Armenians in 1895, but his own supporters and followers did not continue the pressure. If they had, it might never have happened. Whether that would have had a substantial effect on later genocides I cannot say, but it would certainly have been infinitely better if it had not happened. We have better, cheaper and easier access to information about the world than ever before. We need to makes use of it. Investment in international journalism and broadcasting. The BBC World Service is once again under threat. Why should Britain pay for the world’s radio? In many countries, the BBC is still regarded as the most authoritative way of getting news. When we invest in international journalism, and international broadcasting, we offer a mirror to a wider world, as well as assisting our own engagement. People locally are in a much better position to speak out if they know what is happening. If a genocide is genuinely being contemplated, their own state-sponsored broadcast will already be doing its best to suppress it. Many of the people who participated in the Rwandan genocide said afterwards that they did not realise or understand the full scale of what they were taking part in. Would better journalism and broadcasting have helped? Almost certainly, it would have done to some extent. Stamp out misinformation on social media. According to recent research by Nielsen4, people are now more likely to believe online opinions than they are traditional news. I’ve written elsewhere about the dangers of meme-sharing. 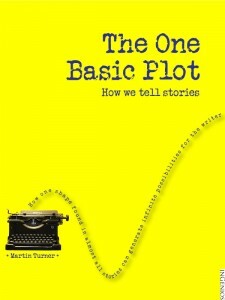 Urban myths, of course, will always propagate. Nonetheless, there are particular kinds of myths that work to demonise particular people groups. Alongside the disgraceful memes alleging that all central banks are owned by the Rothschild family (really a coded version of the old ‘Jewish Conspiracy’ myth), we are seeing a growing number of memes demonising refugees and asylum seekers, based on supposedly accurate information. Whenever the information is checked, it almost always turns out to be wildly untrue. That doesn’t matter, though, if the people sharing it do so on the grounds that ‘there must be something in it’. However, it is by exactly these mechanisms (or the pre-internet versions thereof) that sympathy with what was happening in Nazi Germany spread. Britain would probably never have engaged in its own persecution of Jews, mainly because it did not have the same proportions of Jews living here (as a result of earlier persecutions) but antagonism towards Jews, and sympathy with the Nazi view, meant that Britain did too little, too late, until it almost was too late. We need to be better committed to fact checking and getting to the bottom of things. Copies of ‘The Protocols of the Elders of Zion’ were in wide circulation during the 1930s. To many people, they seemed to be genuine, documentary proof of the Jewish Conspiracy. It would not have taken anyone a great deal of thought or research to discover that they were a hoax. However, most of us are all to happy to believe a hoax, if it appears to have a bit of a document behind it, and it suits our prejudices. Move beyond narrow ‘British Interests’. The job of the Foreign and Commonwealth Office is to look after Britain’s interests in the wider world. But what are Britain’s interests? The current mood in Britain is that they are narrow notions of things which are good for Britain’s economy, good for our internal security, and good for keeping us at the top table. Ultimately, the Foreign and Commonwealth Office will pursue the agenda set by government. Who sets the government? We do. We could argue that only 1/3 of people actually voted in the current government. Even so, everyone involved in politics, journalism or even local church hall debates helps to set the agenda. If MPs, during election time, hear a thousand times that the price of butter is too high, and once that Britain is not doing enough to stop Boko Haram, they will go into the next parliamentary term determined to lower the price of butter. No matter how much more sympathy they have with stopping Boko Haram, this is unlikely to progress beyond signing an Early Day Motion, which is really the same as parliamentary graffiti. Amid all of the online grass-roots pressure groups that have sprung up to demand this or that, I have yet to see one that insists Britain do more to protect the most vulnerable people groups from destruction. Abandon the right of selfishness. Selfishness is not one of the UN’s fundamental human rights, nor is it enshrined in the Human Rights act. But it might as well be, because, in almost all debates, ‘looking after our own’ is presented as an unassailable and fundamental right. No one even bothers to argue with it. It is a clincher on television, on radio and on the doorsteps. There is, of course, nothing wrong with looking after our own, but that is not what the phrase is used for. Facebook is now flooded with memes demanding that we do more for homeless ex-soldiers, rather than refugees. Before the refugee crisis came up, there was relatively little interest in helping these homeless veterans. ‘Charity begins at home’, the old version of ‘looking after our own’, was never used as an encouragement to be more charitable locally, merely as an excuse not to intervene internationally. When we turn back refugees at the border, or make them wait in migrant camps in Calais, or demonise them in the popular press, we send back the most powerful signal to those who persecute them: the West does not care, you may do what you like. Driving people out of a country to die as refugees on the journey was a feature of the Armenian genocide, and also a feature of the Nazi genocide. More Armenians died fleeing persecution than were actually killed in the persecution. The moment that we put our own comfort, convenience and prosperity above the needs of those fleeing for their lives, we, too, have become complicit. My prayer — and I do mean prayer — is that as the 100 years of genocides comes to an end, the genocides themselves will come to an end. I understand that there will always be atrocities. There will always be people angry enough, or selfish enough, or heartless and calculating enough, to commit massacres. Nonetheless, if, for once, we could learn one lesson of history, let it be this: never again. Thank you for writing this. I agree.